The British territory of Gibraltar could prove to be an unexpected thorn in the side of Britain’s Brexit plans. There have been many flashpoints in the tortuous path Brexit has taken, from its divisive start to the summit this weekend that could seal its fate. Accusations of lies, a deal no one wants, claims Brexit will see the break up of the United Kingdom, and a doomsday scenario that brings catastrophic disruption to the economy. Now the tiny territory of Gibraltar can be added to the list. A small British-controlled peninsula off the Spanish coast, Gibraltar is famous for the 426-metre Rock of Gibraltar, wild monkeys and a 30,000-strong population who voted overwhelmingly in a 2002 referendum for sovereignty of the island to be shared between the United Kingdom and Spain. It also may yet derail Theresa May's Brexit plan. Last week, the British Prime Minister announced she and European Union negotiators had settled on a proposed political declaration on future EU/UK relations as well as a withdrawal agreement. As well as fierce opposition at home, some EU nations were also unhappy with the deal and have started to make menacing noises - which should make Mrs May very nervous. In a special summit in Brussels on Sunday, the remaining 27 EU nations will vote on the agreement. The loudest and most worrying response has come from Spain. 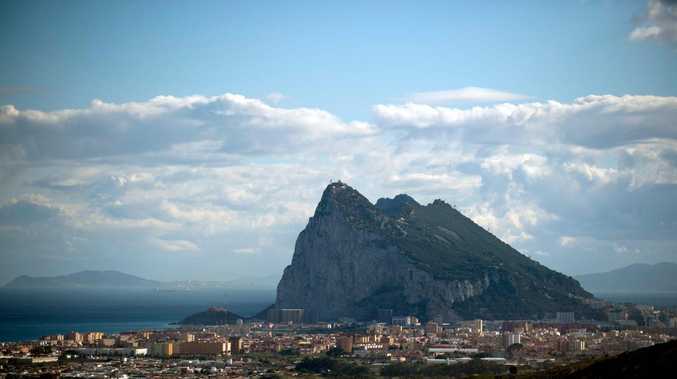 Its Prime Minister Pedro Sanchez has threatened to derail the summit unless he wins some concessions on the status of Gibraltar. His government wants assurances the deal doesn't apply to the peninsula , which Spain claims sovereignty over. "If there are no changes regarding Gibraltar, Spain will vote No to the agreement on Brexit," he told reporters in Madrid. He went on to say it was an "essential point" for Spain and "unfortunately" he would "not be able to vote in favour of it". The major problem Spain has is a clause hastily added to the withdrawal agreement which outlines how the EU and the UK will seek to "negotiate rapidly the agreements governing their future relationship" before the end of the transition. But the Spanish want an addition to the text specifying that Gibraltar is excluded from those talks, and that it is for Spain and Britain to negotiate the future of the territory themselves. The UK takes issue with this as it believes the proposed withdrawal agreement about the future relationship will apply to Gibraltar. British Prime Minster Theresa May says Brexit is close to being a reality. If Spain goes through with its decision, it won't necessarily stop the deal as it would need support from some of the other 27 countries that make up the EU. But it could veto any future trade deal. Gibraltar's Chief Minister Fabian Picardo accused Spain of adopting a "well-known tactic" of raising issues at the last minute. He told the BBC Spain's position "does little to build mutual confidence and trust going forward". And a Downing Street spokesman told The Times the Spanish move was largely for a domestic audience with regional elections due soon. Mrs May today gave no hint of backing down over Gibraltar. "I spoke to the Spanish prime minister, Pedro Sanchez, and I am confident that on Sunday we'll be able to agree a deal that delivers for the whole UK family, including Gibraltar." She cleared another obstacle yesterday when negotiators in Brussels agreed a text for the proposed declaration. The announcement cleared the way for a the summit and followed a meeting in Brussels on Wednesday between the Prime Minister and European Commission president Jean-Claude Juncker. 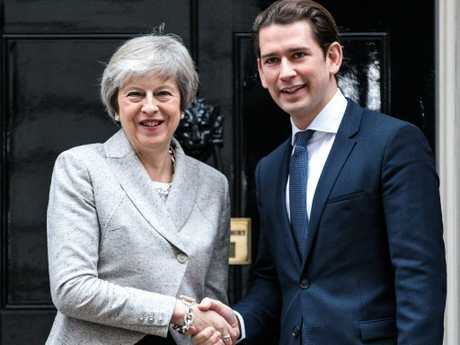 Mrs May meets Austrian Chancellor Sebastian Kurz at Downing Street as she builds support for her deal. The UK Government has repeatedly made clear that an agreement is needed on the future framework - setting out goals in areas like trade and security co-operation and believed to run to a few dozen pages - in order to press ahead with the legally-binding withdrawal agreement. But as with all things Brexit, nothing is assured. Pro-Brexit MPs in the UK - both inside Mrs May's Conservative party and out of it - want to reopen talks on the withdrawal agreement to gain more concessions, but have been told they must accept it as it is. Other countries such as France and Denmark see the plan as too soft and too good for the UK, in particular around fishing rights, because it does not guarantee their fleets access to British waters. There has been some good news for Mrs May. The draft declaration was agreed in principle on Thursday morning (UK time) after negotiators worked through the night on new directions issued by Mrs May and EU president Jean-Claude Juncker when they met in the Belgian capital on Wednesday. EU chiefs backed down on the Irish border when they admitted technology could be used to solve the issue of customs controls at the border between Ireland and Northern Ireland as part of a future trade deal between the UK and EU. She also won a major concession on trade where the UK could trade freely around the world while keeping the Irish border open. While both sides agreed to pursue "a free trade area combining deep regulatory and customs co-operation" - which won't thrill those who favour a hard Brexit - however the agreement allows the UK to have an independent trade policy. 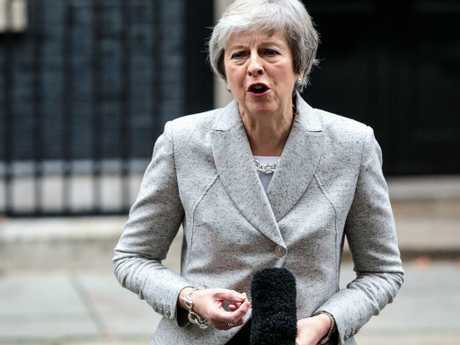 Mrs May told media Brexit was "within our grasp" following the breakthrough agreement Speaking outside 10 Downing Street, the prime minister said the political declaration on post-Brexit relations agreed with Brussels is "the right plan for the UK". The breakthrough cleared the way for a special summit in Brussels on Sunday, at which leaders of the remaining 27 EU states are expected to give their stamp of approval to both the future framework and a separate withdrawal agreement setting out the terms of the UK's departure. Mrs May briefed members of her cabinet on the new agreement in a conference call and will face MPs in parliament later on Thursday. "This is the right deal for the UK. It delivers on the vote of the referendum, it brings back control of our borders, our money and our laws and it does so while protecting jobs, protecting our security and protecting the integrity of the United Kingdom," she said on Thursday. She vowed to return to Brussels on Saturday for further talks and part of a frenetic bid to win support ahead of the summit. "The British people want this to be settled, they want a good deal that sets us on course for a brighter future. "That deal is within our grasp and I am determined to deliver on it." She later told the House of Commons the deal would "create a new free trade area with the EU, with no tariffs, fees, charges or quantitative restrictions.